People care. Earth care. Fair share. Please provide two personal references below. Please provide a phone number for each reference. Our new applicant has requested that you provide a reference in support of his/her application to become a member of Transition Joshua Tree. We are a non-profit organization and Hour Exchange that builds community. Every exchange is based on time. Members earn and spend hours, with every hour equal regardless of the service. We respect & value everyone, no matter what your given skill set or present circumstance may be. Our new applicant has completed our online application and needs your reference to become a member. Because there is so much trust involved in exchanging between neighbors, we do reference checks on all potential members. Please complete the form below at your earliest convenience. We invite you to find out more about our organization and explore the benefits of joining, just as Our new applicant has! Find out more at http://www.transitionjoshuatree.org! Transition Joshua Tree Reference Form Applicant's name: Our new applicant Reference provided by: How long have you known the applicant? In what capacity? To your knowledge, does the applicant use good judgment? How responsible is the applicant? What special skills, gifts and talents does the applicant possess? Does she or he relate well to people of all ages? 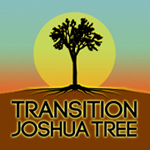 Do you have any reservations about recommending this person to become a member of Transition Joshua Tree? Anything that you would like to add? Best times to call you: Return To: solarfairbanks@gmail.com Thank you for your time! 69 MEMBERS. 85 HOURS EXCHANGED.